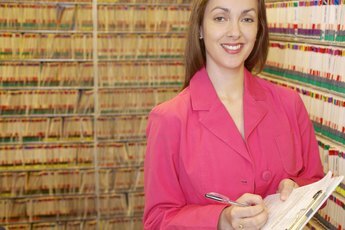 Credentialing specialists work independently or for insurance and medical companies. Perhaps you’ve just moved to the area or your current gynecologist has stopped seeing patients. 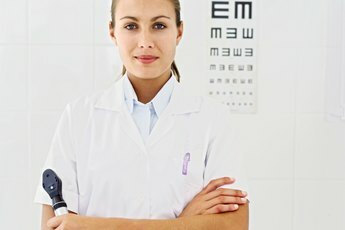 How do you know that the new OBGYN you’ve chosen has the correct credentials and isn’t just some quack in a white coat? Enter credentialing specialists, whose job is to verify doctors and other medical professional’s credentials. 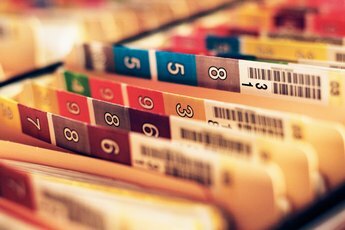 Credentialing specialists keep tabs on medical professionals, tracking licenses and other credentials like certifications, facility privileges and experience. Currently, the National Association of Medical Staff Services offers the only certification for credentialing specialists, the Certified Provider Credentialing Specialist designation. Earning certification sets you apart from other credentialing specialists because it shows you’ve taken the extra steps and time to increase your knowledge and legitimacy in the field. Not only can it help you get a job, earning certification can help you earn a promotion. NAMSS found that 27 percent of certification holders got a pay raise immediately after earning the CPCS certification. Earning certification starts with an application process and ticking off the check boxes of the eligibility requirements. The qualifications include being an employee in medical services for at least the previous 12 months and having at least three total years of experience in the last five years. Currently Certified Professional Medical Services Management personnel, another NAMSS designation, who have 12 months of medical service experience also qualify. Current employers should be hospitals, medical groups or surgery centers. Other requirements include abiding by the NAMSS Code of Ethics and paying application and exam fees. Meeting the qualifications is just one step toward certification; next comes hitting the books for the certification exam. Partnering with CASTLE Worldwide, a third-party testing center, NAMSS offers the exam during a three-week period each year. You’ll have three hours to complete the 150 multiple-choice exam and will receive a pass or fail grade immediately after finishing. Official test scores come six weeks later. For those test-takers not feeling ready for the exam, NAMSS provides exam prep resources, including study tests, sample questions, reading lists and online resources. Topics covered on the exam include primary source verification, credentialing, compliance, privileging and operations. The medical industry constantly changes and evolves, requiring credentialing specialists to stay on top of the latest developments. The recertification process allows you to maintain the CPCS credential and stay up-to-date in the industry. Every three years, you must renew the CPCS designation by completing 30 hours of continuing education credits, 15 of which must be NAMSS-approved courses. Rather than earning CE credits, NAMSS allows recertification by retaking and passing the original certification exam. Those opting for CE credits can earn them through online courses, webinars, in-person courses and industry conferences and seminars.